Genesis, not merely a fantastic seventies Prog Rock band but the definition of the beginning. Having started out twenty years ago back in 1997, Akercocke evolved from their rather primitive beginnings to the full fledged Progressive Death Metal outfit that recorded their swan song Antichrist. Just as powerful as their previous works, it was to be their final material for ten years, After reforming at last years Bloodstock Festival the band had announced that new material was in the works. now, at long last Akercocke have returned with an album that not only picks up where the band left off but goes even further. Potentially the most notable element of Renaissance In Extremis is the heightened sense of the Progressive. Citing influence from the likes of Cynic each track scarcely goes below the four minute mark. “Unbound by Sin” would sit perfectly in the halls of classic nineties Death Metal, when experimenting was in its prime. Yet its angle of an almost Heavy Metal nature brings unorthodox riffs as well as the more predictable but no less brilliant, making tracks that could be lofty and boring, have their own identity. Despite their lengthy absence, the band’s technical ability hasn’t slipped one iota. “First To Leave The Funeral” starts with an almost spiral descent into melody before Mendoca’s signature snarl enters in once more before the technicality comes back in with a fierce almost Obscura-esque solo followed by an exit with a horn section. Though the record might feature singing, vocals do take somewhat of a backseat in the general make up of the song. Leaving a lot more room for songs to breathe, every track understands its place in the listing. Make no mistake however, this isn’t exactly easy listening. The tracks demand your attention for a reason. Complex in its make up, it makes for the listen to be a total journey for every song. Take “Familiar Ghosts” an intro bringing to life this eerie atmosphere before moving into semi Damnation-eseque Opeth clean guitars. Mendoca’s vocal ability though a little questionable has this almost Punk element to it, the kind of “that’ll do” approach is brilliant and lets the instruments well and truly shine whilst keeping this malevolent atmosphere going. Keeping this sense of the cinematic going once again “A Final Glance Back Before Departing” before launching into Iron Maiden style melodies and Thrash Metal style musicianship spearheading into an almost Police style clean section, its a real difficult one to get your head round but therein lies the fun. Flitting from genre to genre is what has made Akercocke’s imprint on the underground so impactful. Renaissance In Etremis is a schooling that only the band would be able to give. Ending with the just shy of ten minute Prog masterpiece “A Particularly Cold Sept” that features, trumpets and an almighty guitar solo that closes out the record its a beautiful final statement that lends its ear more to classic eighties than we might have been used to. Quite possibly the most interesting album that Akercocke have released, its a progression creates an inertia for the record to truly thrive that will no doubt see fans scratching their heads in the best way possible for the rest of the year at least. Truly unique and infinitely inspired. 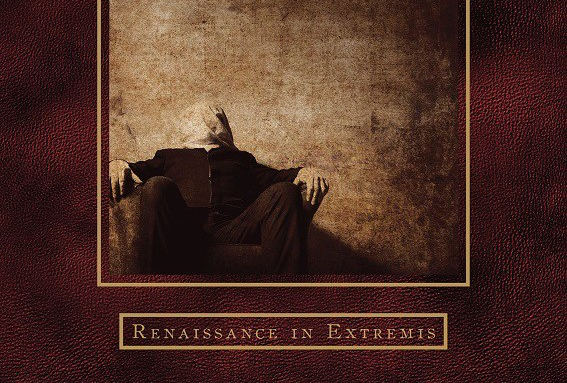 Akercocke’s brand new album Renaissance In Extremis is out Friday August 25th via Peaceville.